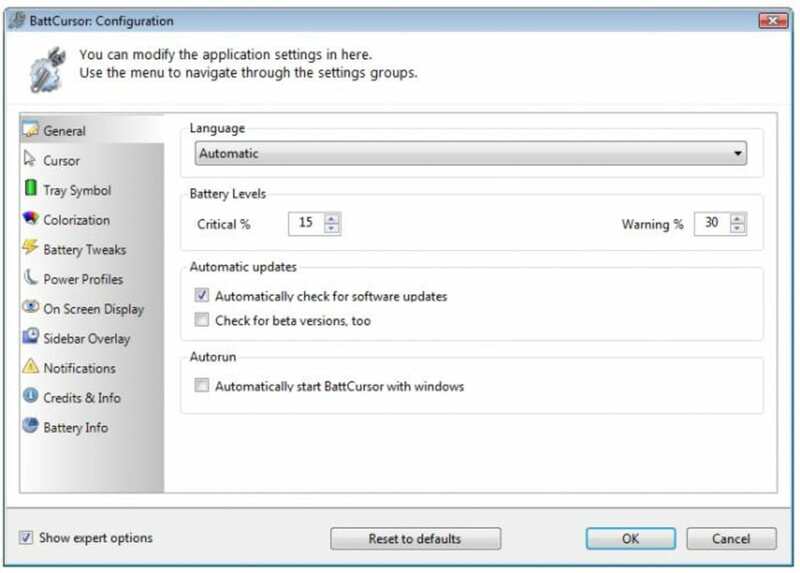 If you work on your laptop a lot, keeping an eye on battery status can become a chore as you nervously glance at the corner of your screen to see how long you might have left. 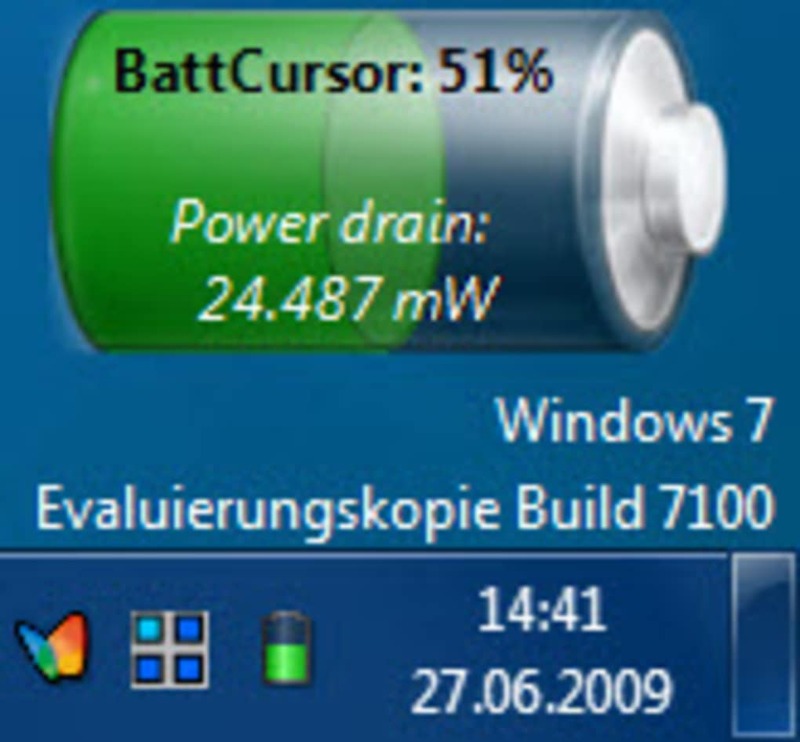 BattCursor is a Windows Vista and 7 only application that keeps you constantly aware of your battery's state. 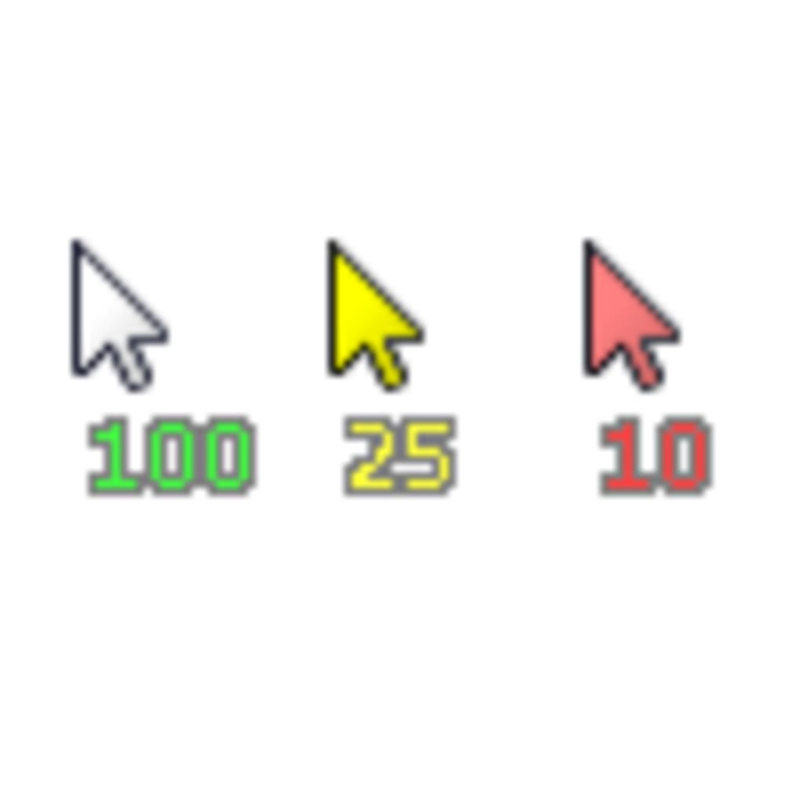 The most basic thing it does is add an number indicator to your mouse cursor, and also changes its color as your power drains. If it gets to red, you're in trouble. 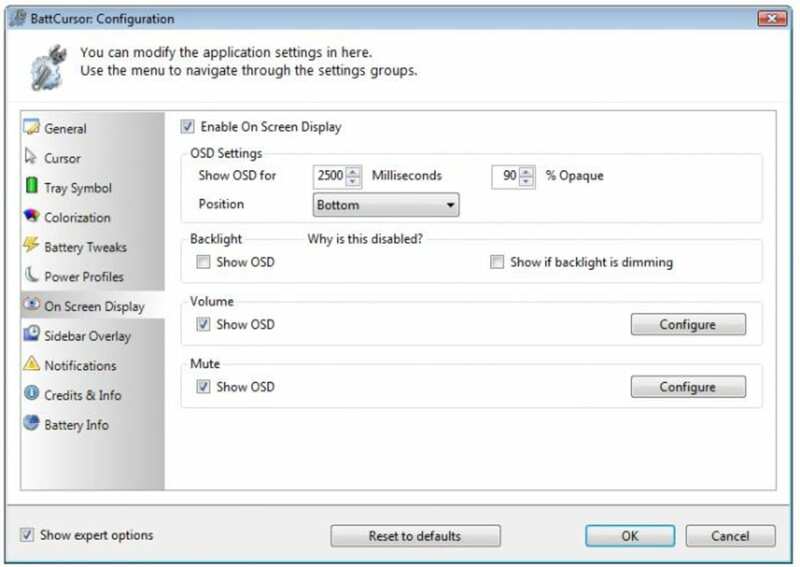 The options in BattCursor are incredible. You don't have to get involved, but there is almost nothing you can't change. All the colors can be modified, you can set various power profiles to be activated as the battery diminishes, so you can squeeze a little more time before plugging into a power source. 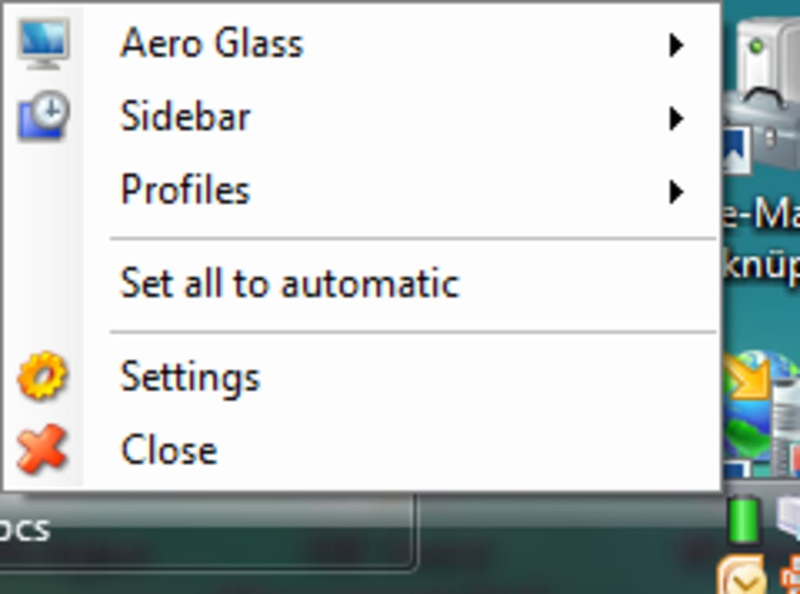 BattCursor cal also disable various resource hungry Vista features such as the Windows sidebar and Aero Glass. 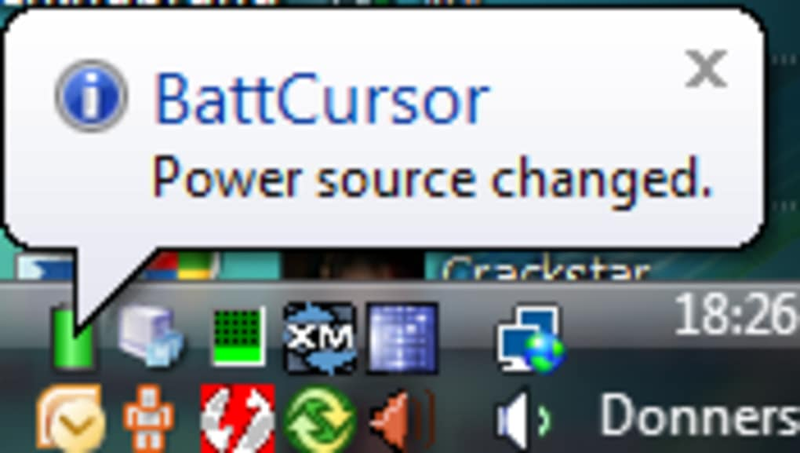 There's not much wrong with BattCursor as a utility - it really does keep you informed about you battery status, and its range of power saving functions are impressive. 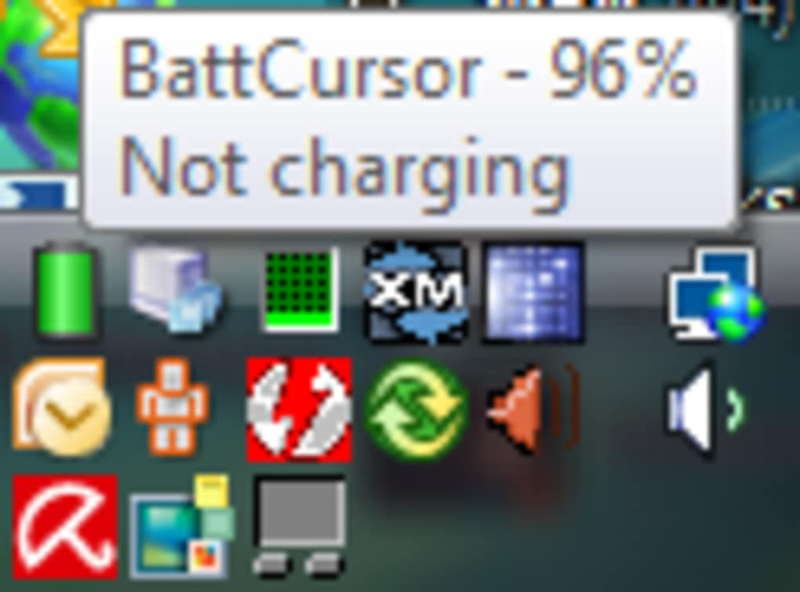 The only criticism of it is that the colored cursor with battery percentage looks a little ugly in Vista. For most people this small visual concern won't spoil this otherwise excellent application. 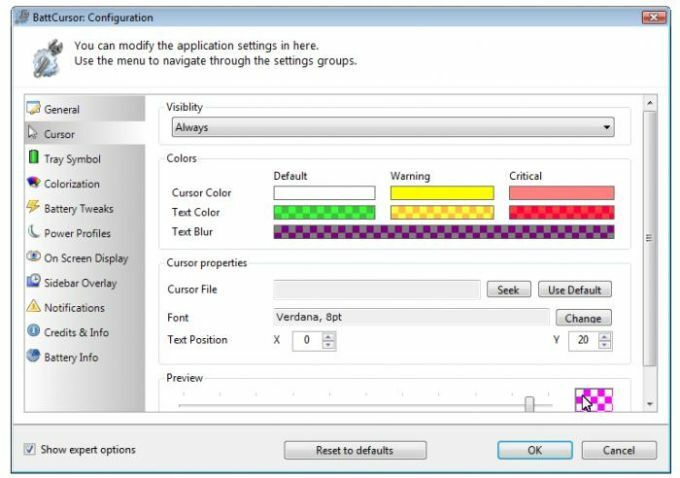 BattCursor is a great Vista and Windows 7 utility for laptop users. What do you think about BattCursor? Do you recommend it? Why?